When it comes to choosing Sunday School curriculum for your church, the choices are….numerous. I mean, I knew of a few, but after seeing this list I think you’ll agree with me….wowza!! That is a LOT of options. It can be really tough to find the right curriculum for your church! …And… that’s where this list comes in! It’s important to know the details about any material you consider using, to make sure it aligns with your church’s theological beliefs and preferred Bible translation, if any. After your initial shock at seeing this GIGANTIC list, I hope you’ll find some valuable information that will help guide you in choosing the right product that will perfectly fit your needs. Find the right Sunday School Curriculum for your needs! Here at Better Bible Teachers, I produce Sunday School curriculum, but that doesn’t mean I think my stuff is perfect for everyone. I want what is best for YOU and the curriculum that suits YOUR needs. The scope / teaching cycle is listed, as curriculums often have you start over again after a certain number of months / years. The level of media included is listed. For those of you in smaller churches, this might aid your decision in choosing a curriculum that you can utilize with limited technical resources. The Bible version used is also listed. 21st Century Christian curriculum covers the Bible three times from elementary to high school and uses easy to prepare, colorful materials. Answers Bible Curriculum is a chronological Sunday school curriculum that covers the entire Bible every four years. It answers key questions that confront the adults and children in your church, and it provides a powerful overview of God’s Word. All ages are equipped with “faith proofs” to defend the Bible and to honor Christ as they apply Scripture. Bible discovery and exploration is integrated into every lesson for each age group through lively, age-appropriate activities—including games, crafts, and creative play. These activities accommodate the various ways kids learn. 48 Bible stories introduced through art, music, cooking, etc. Everything must be purchased separately. A complete set, including DVDs, varies from $50-$80 per season. Awana impacts and shapes the lives of millions of kids and adults worldwide through proven resources and expertise that help churches and families develop lifelong disciples of Christ. Apart from Awana Club material, they also offer Sunday School material titled “TruthSeekers“. This curriculum is great for children who have no prior knowledge of God or the Bible. Based on The Beginner’s Bible, this 30-lesson curriculum uses animated videos, engaging teaching, and fun activities to help 1 to 6-year-olds discover the truth and wonder of Scripture. Allows kids get to know the people and events of the Bible in a deeper, more relational way, instead of hopping from one forgettable story to the next. Plus, every lesson is loaded with tons of classroom ideas, so teachers never run out of lesson before they run out of time! In conjunction with the Levels of Biblical Learning, Bible Studies for Life provides age-appropriate experiences for kids of at every age and stage of development, from babies to preteens. From LifeWay Christian Resources. The Bible Study Guide is a complete Bible curriculum for your Sunday School or Bible class. Its goal is to give students the knowledge and tools they need to understand and apply God’s Word, so they can be growing disciples of Jesus. Teacher leaflets $5.30 each per quarter, Student leaflets $3.75 each per quarter. Visuals extra. Each lesson includes different learning experiences to connect with all learning styles for children. Using an interactive learning experience, children can learn through reading, acting, drawing, singing, listening, and playing. Spin-wheel games and discussion starters offer a multitude of variety in the classroom and intentionally allow kids to choose what happens next in the lesson. 325 original Bible studies from Genesis through Revelation are created for 1st-6th grades in English & Español. Coloring pictures, worksheets, and activity pages bring support to the teacher. In these six lessons, children will learn answers to pressing questions in kid-friendly language that will help them grow in their faith. Packed full of well-researched, reliable, and fun investigations of some of the biggest questions kids have, The Case for Christ Children’s Curriculum brings Jesus to life by addressing the existence, miracles, ministry, and resurrection of Christ. The Deep Blue Kids curriculum is designed to help kids “dive deeper” into their faith, both in the classroom, and at home with their families. It is a comprehensive three-year Bible study with stories organized by theme: Family, Community, and World. The goal of the Children Desiring God curriculum is to be effective in equipping teachers, engaging students, and impacting families. There’s no shortage of available biblically based Children’s Ministry curriculum, but there IS a huge shortage of FUN, Biblically based Children’s Ministry curriculum. That’s why Children’s Ministry Deals produces curriculum that teaches kids Bible lessons in a fun way! They offer 8-week or 52-week lesson packs with different themes. Based on the stories in Believe for Kids this 30-week curriculum is written for preschool, early elementary, and later elementary children and includes all of the materials needed on a DVD-ROM—including leader’s guides, visuals, activity pages, take-home parent pages, and more! Disciplr offers unlimited digital curriculum in one place for one price. The new Disciplr brings you world-class curriculum choices, simple lesson customization, and scheduling tools. DLTK’s Crafts for Kids features a variety of printable children’s crafts, coloring pages, worksheets and activities including projects for holidays, educational themes and some of our children’s favorite cartoon characters. Since 1989, Echoes has been the chosen curriculum that has taught God’s Word to life, presenting the relevant gospel of Jesus Christ to the African-American church. This curriculum is Christ-centered, theologically sound and has biblically based lessons for every age, Toddler through Adult. Elevate can be used on the weekend in children’s worship or Sunday school, mid-week programming, VBS, and even day camps. The curriculum comes in a Base Pack that covers 8-weeks of lessons with the same theme. Each Base Pack is all-inclusive, providing you with everything you need for large and small groups of kids, whether you have five children or 500. You can perform your teaching time (skit and Bible story) live using actors OR you can use the DVD to show the skit and Bible story on a TV. The Base Pack is your starting point for either option. The teaching methods behind FaithWeaver NOW have become the most trusted and time-tested in children’s ministry…and this classic curriculum continues to impact a new generation of families today. FaithWeaver NOW is a quarterly, age-graded curriculum for infants through adults. The three-year scope & sequence covers the Bible, from Genesis to Revelation. Each quarter goes through 13 sequential Bible events so families get a snapshot of the Bible timeline. Friends and Heroes is an exciting and easy-to-use children’s Bible curriculum based on Friends and Heroes award-winning video material. It helps children learn and apply Bible stories through active, fun lessons designed to engage all children—both boys and girls! It is comprised of teacher-friendly materials designed to help your ministry equip more volunteer teachers than ever before. Generations of Grace is a biblically based and God-centered Sunday school curriculum designed for children three years old through the sixth grade. Over a three-year period, this curriculum covers the Old Testament historical books, the life of Christ, and lessons from Acts and Revelation. Gospel Light is a dynamic large group experience filled with creative Bible story presentations, engaging music and video resources combined with an intimate small-group time where kids can establish important relationships with leaders, with each other and, most importantly, with Jesus. We all know the importance of the early years in a child’s growth and development. There are many skills, habits, and words that we teach and train our children within their first five years of life—more than we would want to count. Crucial to that teaching and training is our Christian faith and heritage. “things that we have heard and known, that our fathers have told us. We will not hide them from their children, but tell to the coming generation the glorious deeds of the Lord, and his might, and the wonders that he has done … that the next generation might know them, the children yet unborn, and arise and tell them to their children, so that they should set their hope in God and not forget the works of God, but keep his commandments (Psalm 78:3–4,6–7, ESV). Through their Show Me Jesus and Kids’ Quest curriculum, Great Commission Publications provides resources for the church and the family to assist in this important task for children from age 2 through the elementary years. Group resources genuinely help kids know, love, and follow Jesus. They start with Bible truth and use creative activities to help kids experience God’s Word and apply it to life. So when kids experience a Group lesson, they don’t just hear it. They do it. Jesus was the master at using creative objects—like coins, fish, and lilies—to connect eternal truths to everyday life. With Hands-On Bible Curriculum, kids experience the same powerful connections between Scripture and everyday life by engaging all five of their senses. The Bible comes alive! Every ministry is looking for biblically-centered curriculum designed with a perfect balance of content and application, that is reverent but fun, and saturated with obedience but with a true heart change. Centered on the Gospel and the Word of God, each series, and all you need, is delivered on a USB flash drive. A variety of curriculum options are given. Check out Brian Dollar’s blog. He’s the creator of the High Voltage Kids curriculum. BiG is a large group/small group children’s ministry curriculum with a 9 lesson format; each theme is explored for 3 lessons at a time. This innovative approach to learning means your regular attenders will see and learn something new each week, but also experience the power of repetition and give every child who comes even one weekend a month an understanding of the topic. Discover how this easy-to-use curriculum helps you teach sound doctrine, emphasizes learning, and gives you what you need to make every Sunday school or Bible study class a success. Kidology offers a variety of Sunday School curriculum and other Children’s Ministry materials. Membership plans are available from free to $10 per month. You must be a member in order to purchase Sunday School material. The Bible Basics Curriculum consists of three 1-year programs: Old Testament Chronological Study, New Testament Chronological Study, and Value Keepers of the Bible. Kids Kount Kingdom Quest features experiential learning in a small group/large group rotation model. Kids Sunday School Place is a great online source for fresh, creative children’s ministry resources for grade school and preschool. They feature complete downloadable Sunday school lessons, Bible crafts, Christian activities, object lessons, stories, skits, games, songs, and much more. Teaching Sunday school is now easy, fun, and rewarding! Kidzana’s Bible Basic is an exciting one-year curriculum program designed to help children grow strong in their lives with Jesus by giving them a foundational knowledge of the entire Bible. It is ready to use in Sunday schools, children’s church, Bible clubs and more. Lessons are easy to use, even for new teachers. The program is adaptable and can be used with few or no supplies at all. Treasuring Christ is a comprehensive curriculum delivered online for preschool through high school that strengthens children and families by teaching them the gospel from Genesis to Revelation. Life Bible Study’s vision is to spread the fame of God by equipping godly generations to treasure Christ through a Gospel-centered curriculum for the church, the home, and the nations. During early childhood, kids really can learn relevant Bible truths. Each of the 24 month-long units teaches engaging Bible stories that transfer to true life application. As a digital mission of Life Church, the entire Bible App for Kids Curriculum is completely, 100% free. No trial period, no updates to buy, no upselling to endure. Free. This curriculum is fully integrated with YouVersion’s Bible App for Kids, so your little ones can fall in love with Jesus in church and at home. A website with nearly 4,000 lessons, printables, and ideas. Disciples of Christ want to desire, to think, and to act more and more like Him. That’s why Mission to Children created the Cultivating Character Bible e-Guide, to help you disciple children and youth for the purpose of Christlikeness. Since 1993, TnT Ministries has been resourcing and equipping people to teach the Bible to children and teenagers more faithfully, more creatively and more effectively. Their comprehensive range of printed material covers the entire 18-month to 18-year age range. It has been used around the world and translated in part or in whole into twelve different languages. Mustard Seeds is their new range of downloadable material. New Growth Press offers two major Sunday School curriculum as well as VBS and other gospel-centered children’s resources. Hearts Alive provides liturgical congregations a highly-anticipated children’s curriculum that combines captivating content, lectionary alignment, and gospel focus for students ages 4-11. The Gospel Story for Kids Curriculum focuses on Christ as it teaches preschool through sixth-grade children key stories from Genesis to Revelation that highlight God’s plan of redemption. This unique 1.5 year curriculum grows with children by exploring the same Bible stories at three different learning levels, presenting the material in a fresh way each time to help children grow in their understanding of the Bible. ORANGE IS SIMPLE. IT’S A STRATEGY. It starts with two individual influences in a child’s life: home and church. Alone, these two work hard to ensure that every child has a better future. But when they’re COMBINED, the home and church will have a greater impact. And that is Orange. A resource for affordable, flexible, quality Christian curriculum for preschool and elementary age children. 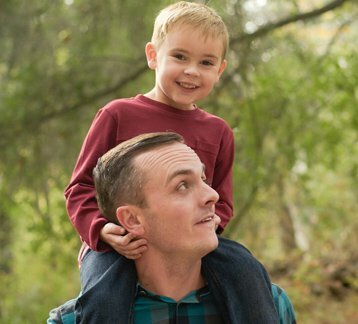 D6 connects the church to home and families to one another. D6 curriculum is one of the most effective small group and Sunday School curriculums you can find. D6 is based on the principles of Deuteronomy 6:5-9—love God, love His Word, and teach your children to do the same. Sharefaith Kids combines Sunday School Lessons and Sunday School activities to bring teachers the most amazing, intuitive, and complete Sunday School resource on the planet! With stunning kids Bible videos and Sunday School activities, these Gospel-centered lessons come to life like never before. Sharefaith Kids is volunteer-friendly, kid-focused, Gospel-centered and extremely easy to prepare and teach. A top-notch teacher scheduler and planner is available on the Complete plan to take your Sunday School to an entirely new level. A comprehensive, Bible-based Sunday school designed for children age 2 to grade 6. Help children experience God’s great love by bringing his story to life! These 31 engaging lessons for preschoolers as well as early and later elementary children are formatted around relatable Scripture references, memory verses, and Bible themes. This curriculum has everything you need to implement The Story in your children’s ministry or Sunday school classes. Each disc (preschool plus content for two-year-olds, early elementary, and later elementary) includes a leader’s guide, lessons plans, skit scripts, activity pages, take-home parent pages, and powerpoint slides. Through Striving Together, students are invited to enter the lives of Bible Characters. As each story emphasis an applicable truth for children, teachers can lead their students to respond to the powerful grace of God in their own lives. The Faith Series Sunday school curriculum is available for all age groups (toddlers to adults) and is based on the International Sunday School Lesson (ISSL) Uniform Series. These Bible-based teachings are not only relevant, but they are written to foster class discussion and participation that moves students deeper in understanding God’s Word. Bring the Bible to life for your students with Superbook Academy for grades 1-6 (or K-5). 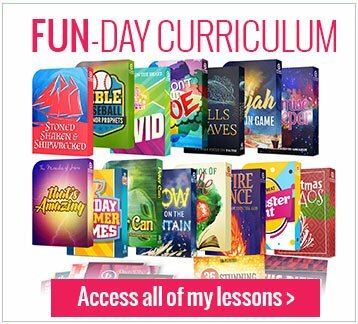 This exciting digital Sunday School curriculum features animated Superbook® Bible adventures, and in-depth lesson plans that will challenge your students with engaging, Christ-centered learning experiences. Kids are created with a trusting nature, but when they become teenagers they will begin to question what they believe. If they have been raised in the church they will begin to question what they have been taught by the church. We already know what their questions will be because this has happening for twenty centuries. Here are The FIVE Big Questions every kid will ask when they transition into adolescence. Did God create mankind or did we evolve from monkeys? We know how the enemy will attack. If we are wise we will prepare our kids for the onslaught of doubt that we know is coming. This is why Super Church created The Core. Formerly Nazarene Publishing, this company offers a variety of curricula to choose from with a Wesleyan theological emphasis. Kids in your ministry will learn the whole story of the Bible – Genesis to Revelation – and experience God’s Word through video clips, activities, songs, games, crafts and more. This contemporary kids Bible material is designed for Spanish speaking kids to learn God’s Word with all the excitement and energy it deserves! Explora features colorful curriculum for ages 3 to 12 with a focus on exploring the Bible as life’s greatest adventure. The Kids Kount free Sunday School curriculum has been translated into Spanish and adapted for Mexican culture. This curriculum is the Spanish version of the Children Desiring God Sunday School curriculum.